Baby’s first place setting! 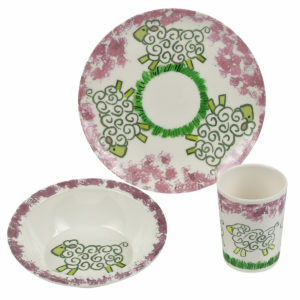 Adorable lambs frolicking through fresh spring grass adorn the tumbler, plate and bowl. 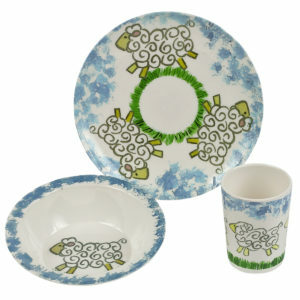 The set makes a wonderful baby shower gift and is available in traditional colors.